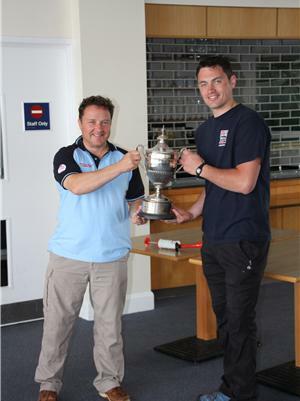 The RNSA Windsurfers were able to enter a strong and experienced team in this years Chamionships and Tom Eskdale demonstrated his class and skill from the outset, winniing 4 of the 7 races and was never out of the top four. There was close and exciting racing for Tom, battling with Adrian Wallis and Paul Morris from the RN Team and Wg Cdr Simon Kent RAF, but Tom always seemed able to generate greater board speed upwind, drive deeper downwind and gybe the big sails smoothly and maintain planing speed. Tom has a pedigree of sailing in the Olympic RSX class and has trained with some of the GB Team sailors in the past. The team are thankful to HMS Somerset for releasing him at a busy time in their programme. Find the team at the Royal Navy Windsurfing FAcebook page and ask to join.